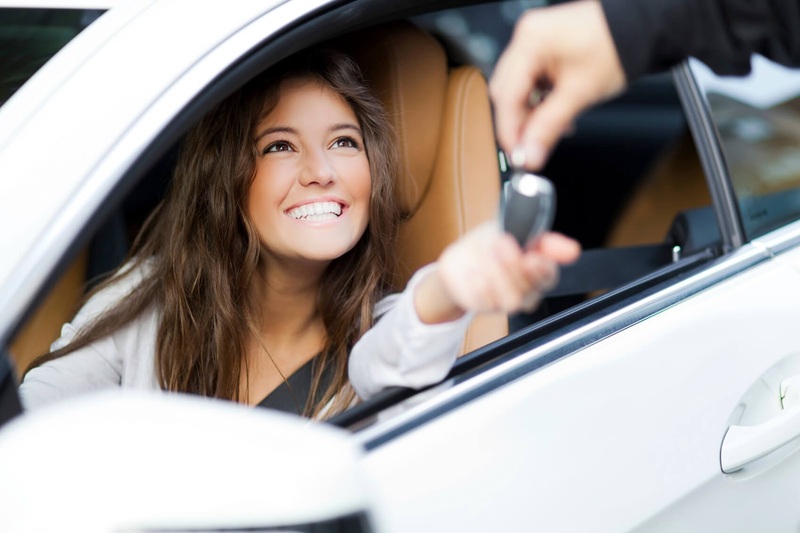 If you are looking for Guaranteed Auto Loans, check out Del Toro Auto Sales in Auburn. With an extensive inventory list of quality pre-owned vehicles, convenient and secure financing, user-friendly online finance application, you should look no further but our dealership. Apply today to get closer to purchasing your desired vehicle. If you are in the market for Guaranteed Auto Loans in Auburn, do your homework and take a few minutes to pull your credit report. You will be able to see where your credit stands and with this information you can estimate what kind of rates you will be eligible for. We want our customers to be well informed. 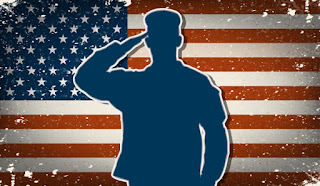 To see your credit report you can visit Annualcreditreport.com, this is free one time per year. This report, will show your credit, limits, loans, payment history and more. If you need to see your credit score you typically need to pay for it. Applying for Guaranteed Auto Loans at Del Toro Auto Sales is probably easier than you think. Visit our user-friendly website to navigate through our extensive list of quality pre-owned vehicles and take a few minutes to fill out a finance application. All your information is secure. Within minutes you will have a pre-approval to know how much you are eligible for and with this you can begin shopping. You can email or call us if you have questions, or visit us in person seven days a week and one of our professional members will be happy to assist you. We have a direct financial process, smooth and simple. Del Toro Auto Sales understands time is precious, which is why our website has many useful tools. You can navigate and find information without having to speak with a person. You can use our payment calculator to determine what your monthly payment would be, schedule a test drive, read our reviews to see what our customers are saying about us, read CARFAX reports on the cars of interest to see service records, ownership history, value comparisons or just browse. Stop by Del Toro Auto Sales for quick financing seven days a week during our extensive working hours. Our friendly staff is here to assist you and we look forward to the opportunity to serve you. Please call 1.888.324.2978 if you have any questions or to schedule an appointment. Over the holiday season most retailers increase their prices on desirable items, which makes this time of year very expensive. 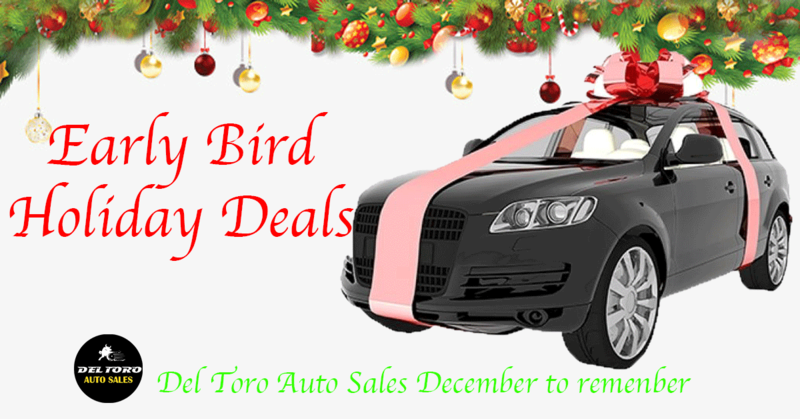 However, if you are looking for a good deal, most affordable, is purchasing a car from Del Toro Auto Sales during the holiday season. In fact during Christmas is one of the best times of year to finance a used car in Auburn which will also helps you manage your finance by paying monthly payments and you could save a lot more money during this time of year. You Ask Why the Discounts? Many consumers don’t think they should be purchasing a car during this time of year when Christmas is right around the corner. But this is exactly the time you should be shopping for a quality pre used vehicle at Del Toro Auto Sales in Auburn. During this time some dealerships drop their prices on new and used vehicles to entice buyers to finance vehicles. In addition to, most dealerships like to get new inventory on their lots for the new year so we will entice buyers even more with great low prices and finance that works with their budgets. This will be sure to save you money. 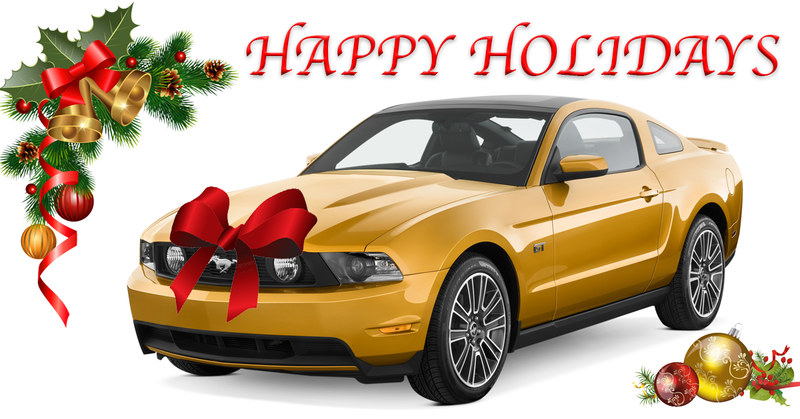 However, not all cars will be discounted over the Christmas season. For example, winter is our peak season for people purchasing four wheel vehicles; trucks, SUVs, Vans. Which is our reason for not discounting these vehicles. But vehicles that are great for spring, summer and fall typically are discounted because most people are not shopping for warmer, sunnier, and brighter weathered vehicles. We at Del Toro Auto Sales have a professional team that is waiting to help you, answer any questions and schedule you for a test drive on vehicles that desire you. We offer financing and won’t pressure you into purchasing a vehicle that is out of your reach. We will work with you to ensure you get the financing you need that works for you. We want to make sure you can comfortably make your monthly payments. We understand Christmas is around the corner so money can be tight which is why we offer zero money down. 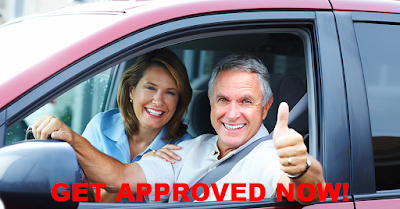 Visit our website today to view our extensive inventory, click “get pre-approved” and in minutes you will know how much you will be financed for, schedule a test drive or ask us any question. Or visit us in person, seven days a week. 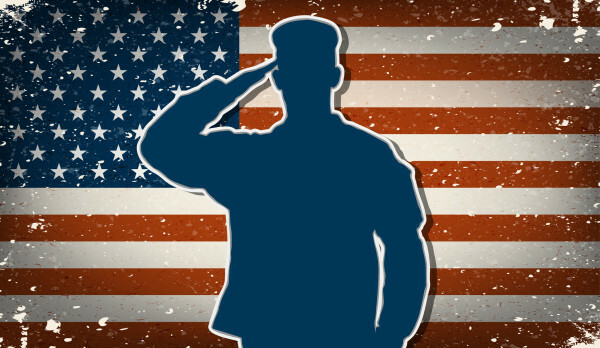 We look forward to the opportunity to serve you. predicated upon your credit score. be sure to get this remedied by calling the reporting lender. considered one inquiry, therefore decreasing the impact of your score. or visit us in person, this process is quick and hassle free. comfortable with and the terms that work for your budget. guarantee you will walk away feeling great. 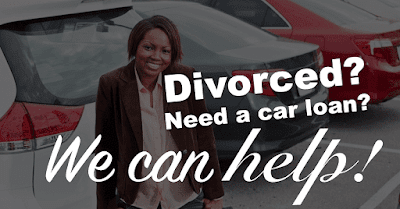 to help get you financed and driving away in the car you desire.